Easycooking: Pesarattu ~ Moong Bean dosa / Crepes & the winner!! Pesarattu ~ Moong Bean dosa / Crepes & the winner!! New Woodlands Hotel in Chennai is one of our regular hangouts.Nine out of ten times,we'll be there on Saturday evenings to have our usual Goli Bajo/Mangalore Bonda and strong filter coffee.We hardly order anything else to the extent that sometimes if we are late,the first thing the waiters would tell us is that the Goli bajo is over without us even asking them.It was during one such late evening that we had to check the menu and order something else.Ajay was very hungry and he ordered Pesarattu,which was available only during weekends.I hadn't even heard the name,so I played safe and ordered a plate of cutlets for myself. I was happily chomping down the cutlets when Ajay's big plate of dosa came with roasted onions on top and thick white chutney as accompaniment.I hated to admit but I really wanted a taste of it.My resistance jumped out of the window when I heard oohs and aahs from him.I attacked his plate with a vengeance and to my own surprise,I liked it a lot.I absolutely couldn't make out that the main ingredient was whole moong dal. While going through Aparna's blog for the Tried and Tasted event going on at Srivalli's space,the recipe for Pesarattu caught my eye.Memories of the dosa came flooding back and I decided I had to recreate the dosa at home.What I loved most about this dosa is that,very little preparation is required to make it.We loved it and I am planning to try it with Upma as I came to know that Upma-Pesarattu is a deadly combo!! Soak the Moong bean and rice together for 4-6 hours or overnight. Drain and grind in a mixie/blender to a slightly thick and coarse paste along with onions,green chilly and asafoetida using water as required. The batter is ready to use[if not using immediately,refrigerate the batter till required]. On a hot dosa tawa,pour the batter and prepare dosa,adding about 1/2 a tsp of oil on the sides and cook on both sides till brown and cooked well. 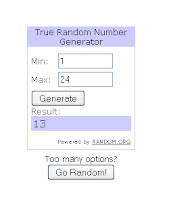 As I posted here,I chose the winner for the Giveaway through random.org and the winner is Neena!! 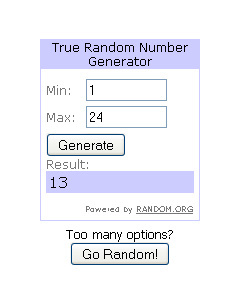 !Please e-mail me your address so that I can send it to Uprinting.com.Congrats!! I simply love pesarattu, what a beautiful presentation !!! Pesasrattu looks nice,love the idea of topping the onion,I used to mix it along the batter..
Have you tried the mangalore bonda at Matsya? They are really good too. Pesarattu looks delectable....I esp like the sprinkling of onions on top. Healthy and tasty dosas, luv it! I have heard that pesarattu is served with uppuma but have never tried it that way. Thanksf or cooking from my recipes. Mom didn' tmake this that often once in a while she used to make this and we kids used to love it. I should also make this once. All time fav. and very healthy recipe ! pesarattu looks so perfect and tempting.. inviting click dear !! I have never tried Pesarattu,but the dosa looks so good that I have a mind to give it a try! I just loved the onion topping ! Pesarattu topped with onions should be yummy o yummy! :)..have never tried making them though..
..and hey..same pinch abt the moong dal :)..
Beautiful pesarattu, love it with onions..yummy..
Ooo.. I love mooga polo as we call it.. I love no-fermentation polos :).. we never add rice to the batter and it makes a great no-carb food, but I guess adding rice makes it crispier. We always add the chopped raw onions to the batter before making the polo (I guess it is more work to roast the onions separately)..my favorite combo of this is with thambalepuddi and jagerry..hehe..dunno why, I just like it that way.. Wow!!! That looks delicious and yummy dear!!! Thanks for the lovely entry Divya..